​Using advanced encoding technologies, this deskop printer is the best solution for issuing personalized cards, from the most simple to the most secure. ​- The card feeder and output tray are directly accessible on the front of the printer, so you can check the cards as they come out. - With the Evolis Premium Suite® software you can receive notifications and easily control the printer from your computer. 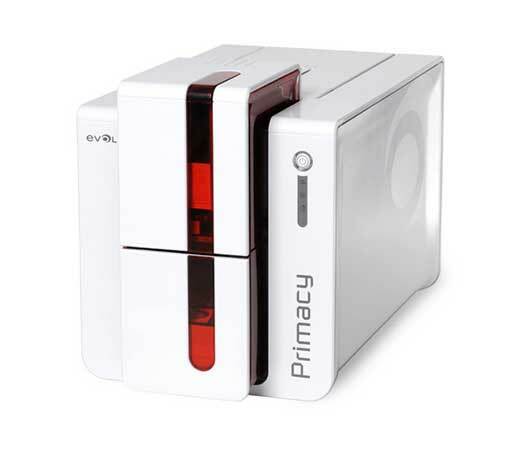 - Evolis High Trust® ribbons are easy to install and automatically recognized by the printer.